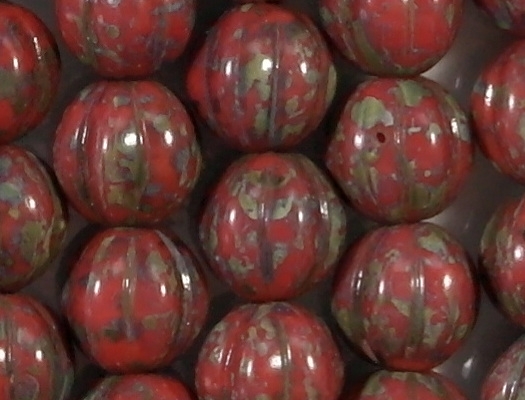 Size/shape: 8mm round with flutes (grooves). 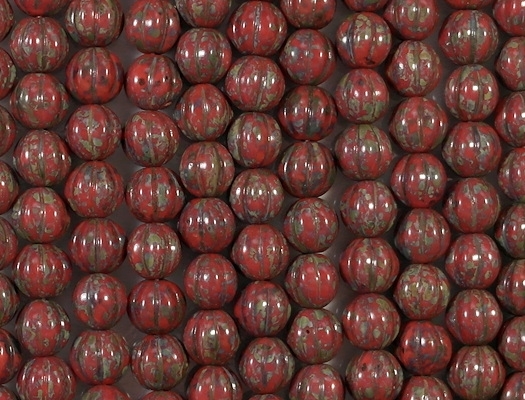 In other words, these are melon-shaped beads. 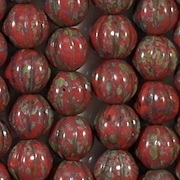 Colors/description: Opaque red with a mottled "picasso" coating. 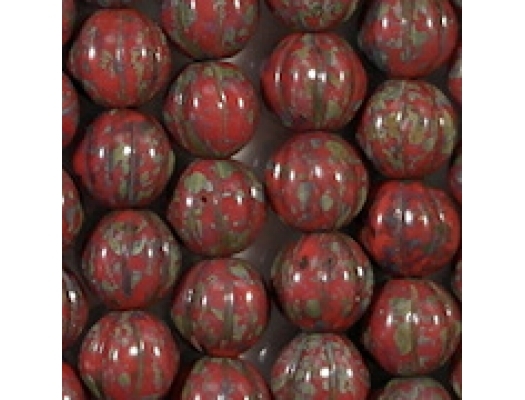 The picasso coating contains the colors brown, gray and olive green. 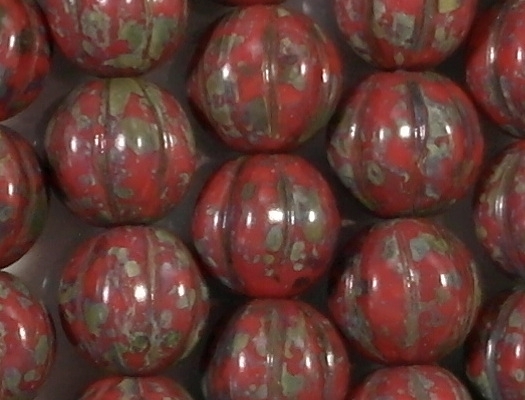 Comments: After these beads sell out, I won't be able to get them again because I had a quarrel with the supplier. 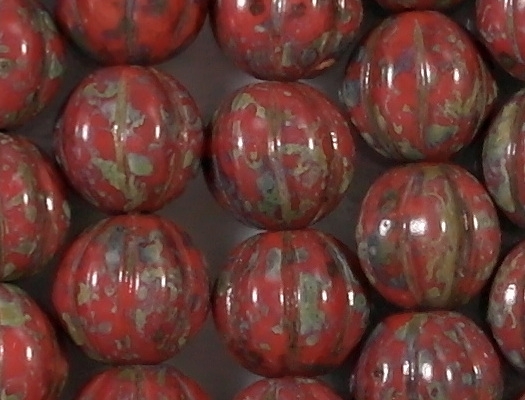 Unlike the aqua version of these beads, the red beads don't have a luster coating. These beads were quite expensive, so my price has to be high too. However, they are premium quality.